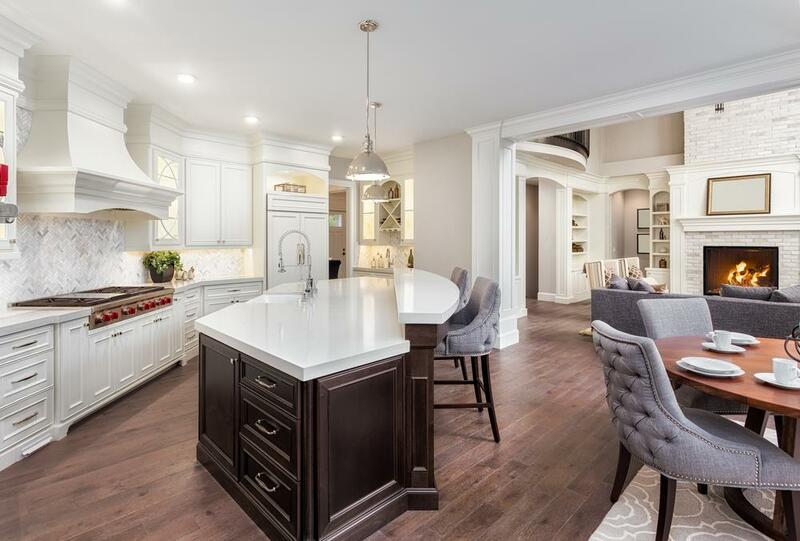 Full kitchen renovations can cost tens of thousands of dollars and nobody wants to go without a kitchen for days or even weeks. 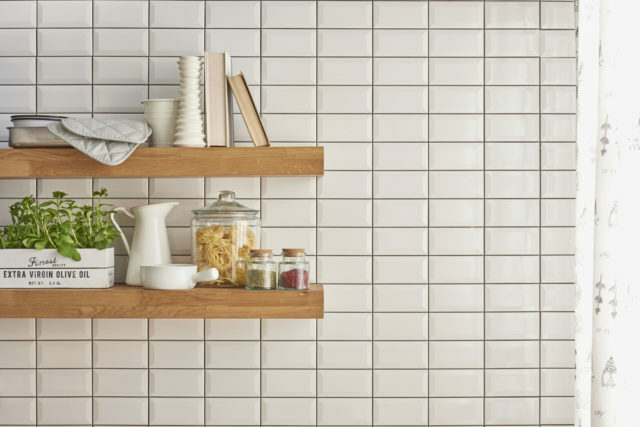 So, we’re sharing a few easy and affordable ways you can give your kitchen a refresh without even breaking a sweat. 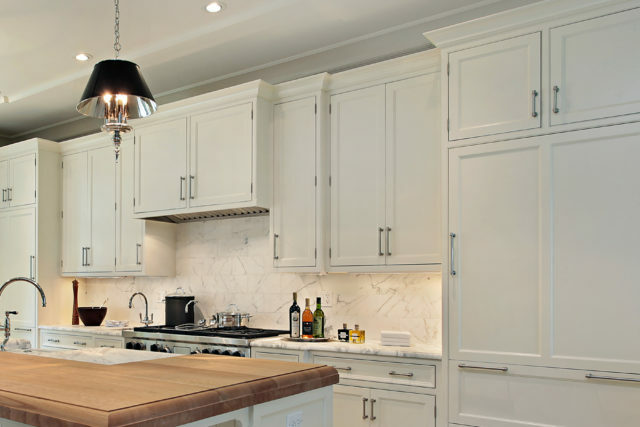 You’d be surprised at how big of a difference new hardware on your kitchen cabinetry can make. You probably don’t pay attention to the handles and pulls, but we bet if you look closely, they’re dirty, tarnished, or scratched up from use. Use this opportunity to add a pop of colour, change up your design style, or go wild with some mismatched antique hardware from your local antique market. 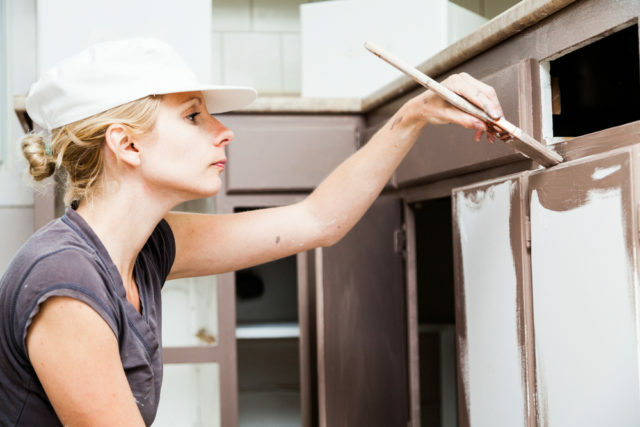 The most common tip you’ll find when it comes to painting cabinets is to go with all white. This is a great option – it brightens and opens up the space, giving it a clean, airy look. That said, don’t be afraid to go with a more bold colour. 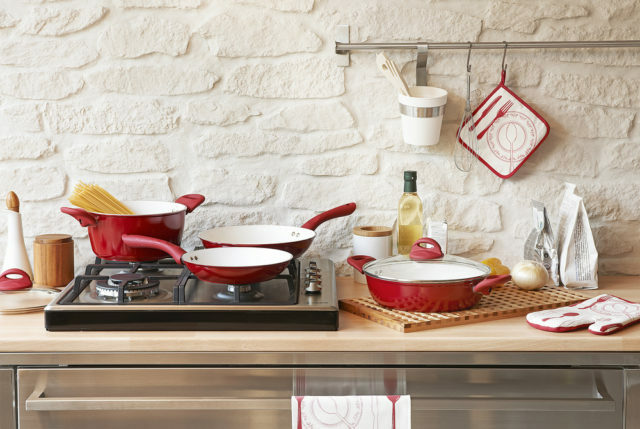 Our interior design specialist, Jo-Ann Capelaci, recently told us to expect more colour in the kitchen this year. Heavy contrasts are in, so make it interesting. If painting your cabinets is too big of a commitment, pick a deep, bold colour and pick a wall in your kitchen to accent. This will also take less time than painting all your cabinets. Depending on the wall you choose, you also have the option to use wallpaper. Floral prints are in this year and would make your kitchen unlike any other – sure to impress guests when you’re entertaining. Okay, so painting or wallpaper are both too big of a commitment for you (and maybe too much work? ), you can easily add colour with new small appliances. Need a new toaster? Get a blue one. How about a KitchenAid blender? Those are known for coming in some stunning colours! You can also get a new set of colourful pots and pans. This is a great way to make your kitchen look larger – it adds depth and interest. 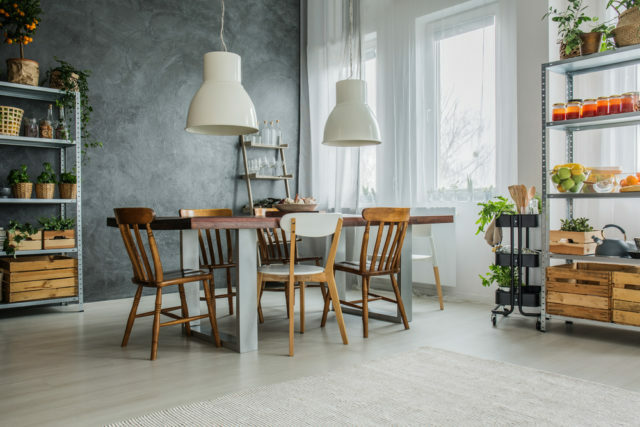 You can draw in the eye by displaying accent pieces that complement the rest of your kitchen or go the more personal route with photos and mementos from trips and family events. If you don’t have the space to install open shelving, check to see if there are any cabinets where the doors or siding can be removed. Of course, do not go hacking away at your cabinetry if you have no experience. The last thing you want to do is compromise the structural integrity of your cabinetry. We hope these ideas are jiving with you! If you’re looking for a whole new look, check out this great post about making a farmhouse kitchen transformation in five easy steps!